The JAX Instant Brass & Copper Cleaner only removes tarnish and oxidation. To ensure the best results, clean your metal of all lacquer, oil, grease and wax. 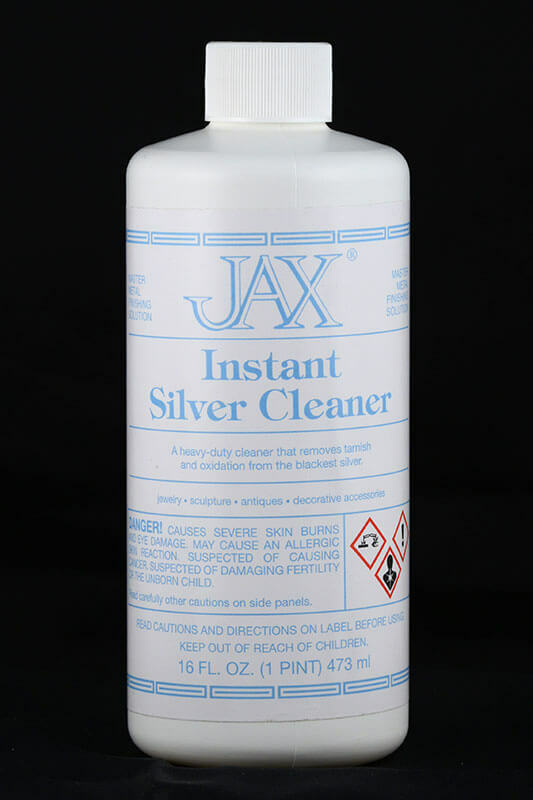 JAX manufactures metal cleaners that are optimal for prepping your metal, but there is no one cleaner that will guarantee perfection. Your choice of cleaner depends on what you are trying to remove from your metal. Regardless of what you use to clean your metal, we recommend using Dawn Dishwashing Liquid as the final step before applying the JAX Instant Brass & Copper Cleaner. Use a bristle brush, sponge or rag and apply the JAX Instant Brass & Copper Cleaner directly to the metal. You may also dip the entire object into the solution. However, do not leave the metal in the solution, or the solution on the metal, for longer than necessary. If the metal is clean, the JAX Instant Brass & Copper Cleaner will work quickly. Practice and experience will help you find the right timing for your work. Do NOT dilute the JAX Instant Brass & Copper Cleaner. 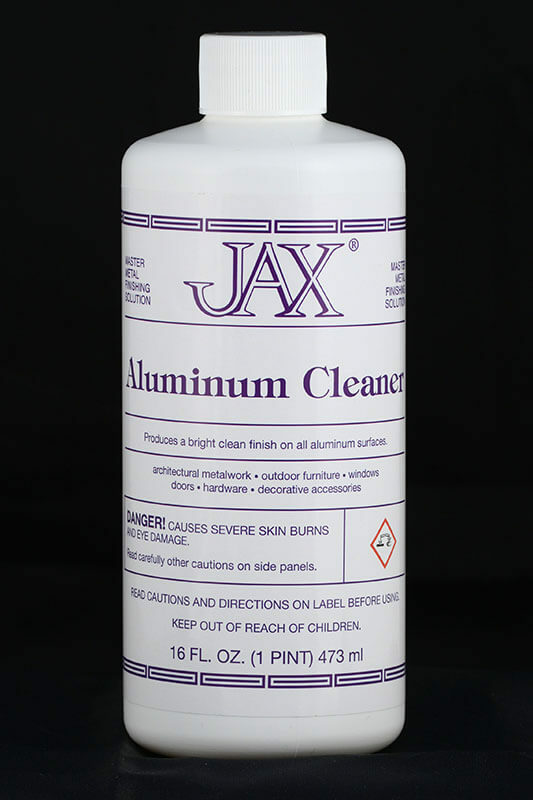 Once you have applied the JAX product to your satisfaction, rinse the metal well with fresh, clean water and dry. On particularly heavy oxidation, you may need to reapply the JAX Instant Brass & Copper Cleaner a second time. 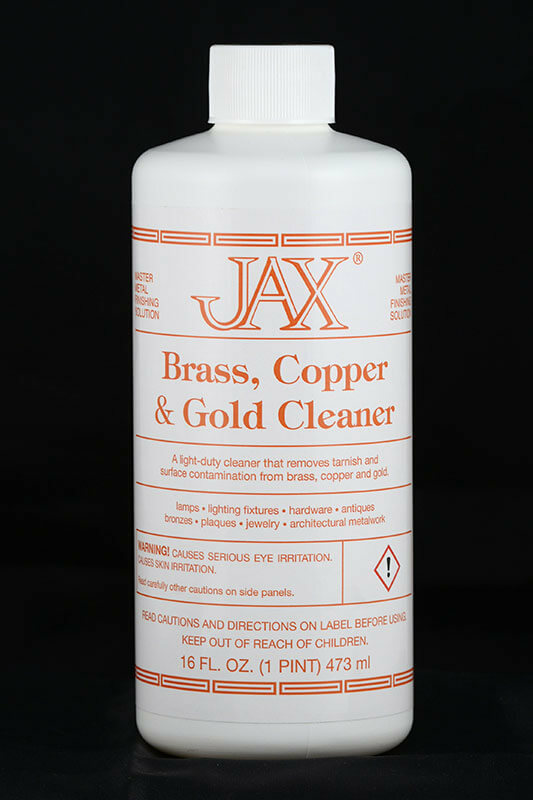 It is advisable to test the JAX Instant Brass & Copper Cleaner in a small inconspicuous area to make sure that it does not adversely affect or damage the surface being treated. 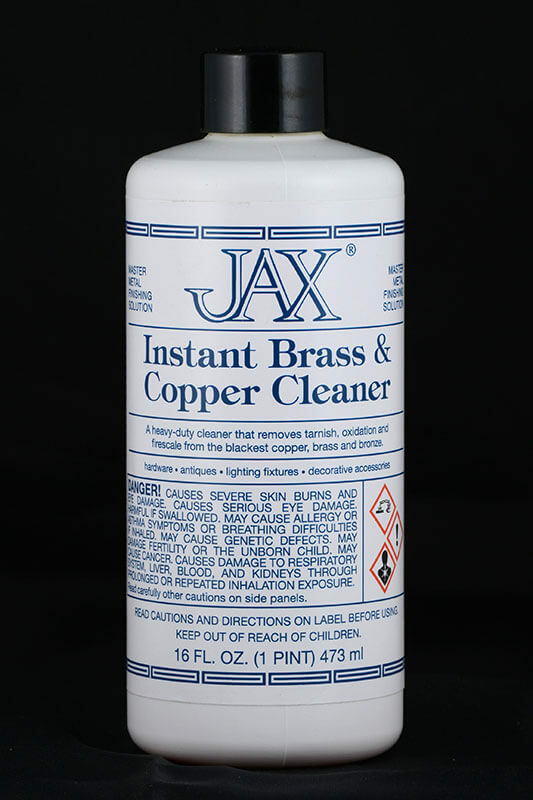 The JAX Instant Brass & Copper Cleaner is NOT recommended for use on thinly plated metals.